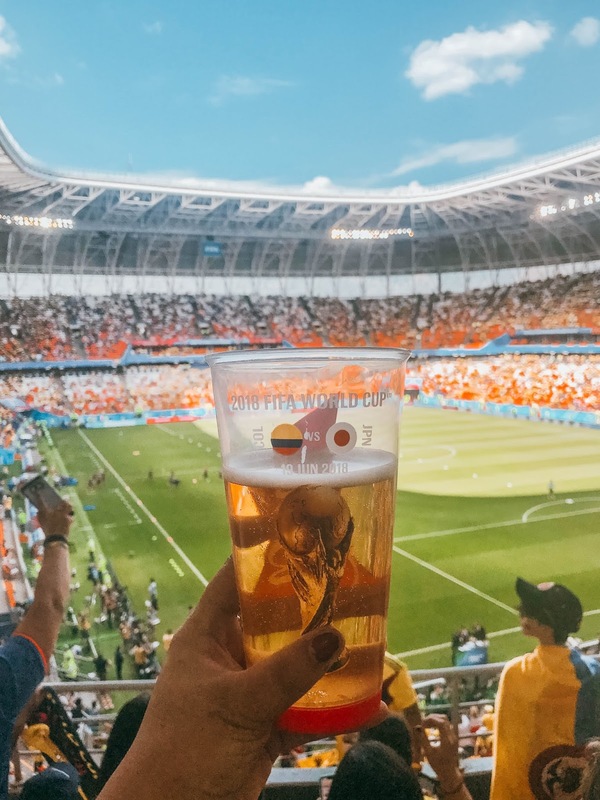 If you ever thought about attending a World Cup, hopefully I can convince you through this post to add it your bucketlist and go for it! Going to a World Cup event is a once in a lifetime experience that you will never forget. If you're lucky enough, you may attend a few in your lifetime but just going to at least one is must! It's a world-wide event that happens every four years so why not attend one if you have the chance? You may have lots of things running through your mind and excuses as to why you can't go or why you shouldn't go. Here are some reasons as to why you should just go for it and add going to a World Cup to your bucket-list! If you ever went to see any kind of sporting event live at your local stadium, you know the energy and passion that is seen there during game day. Now multiply that energy times one hundred, when your actually in the midst of a World Cup game! That feeling and energy is indescribable but contagious and it's something you're only able to witness when you're there. 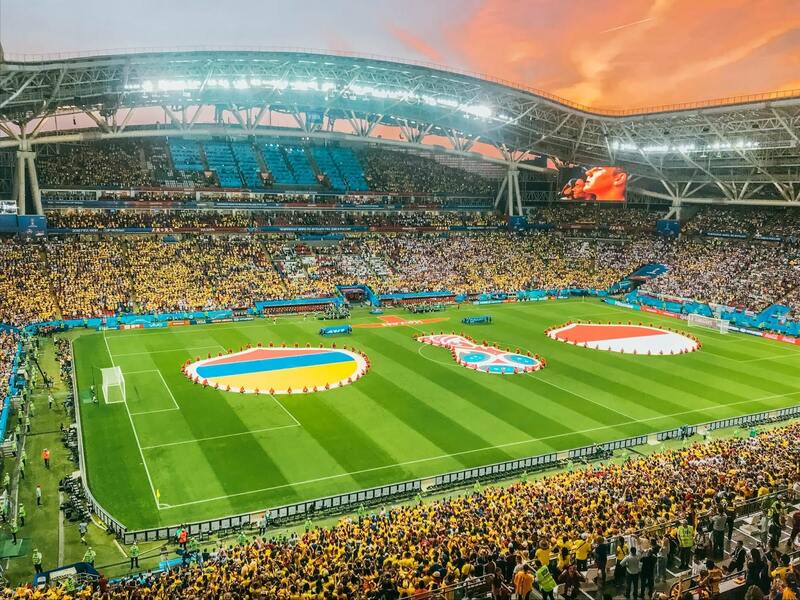 Soccer/Futbol fans from all over the world dream of going to the World Cup to see their favorite team play live. But even if you're not a big soccer fan or don't have a favorite team to support, trust me you will become a fan by association while you're there. Seeing every fan excited to see their team play, hearing the anthem being sung by thousands of people in the stadium will give you goosebumps. Also hearing the claps/screams/chants during the game will make you want to tag along and join in the fun. Traveling to a New Country. The World Cup is held in different destinations throughout the world. Not only do you get to see live games but you also get to travel to a new destination! 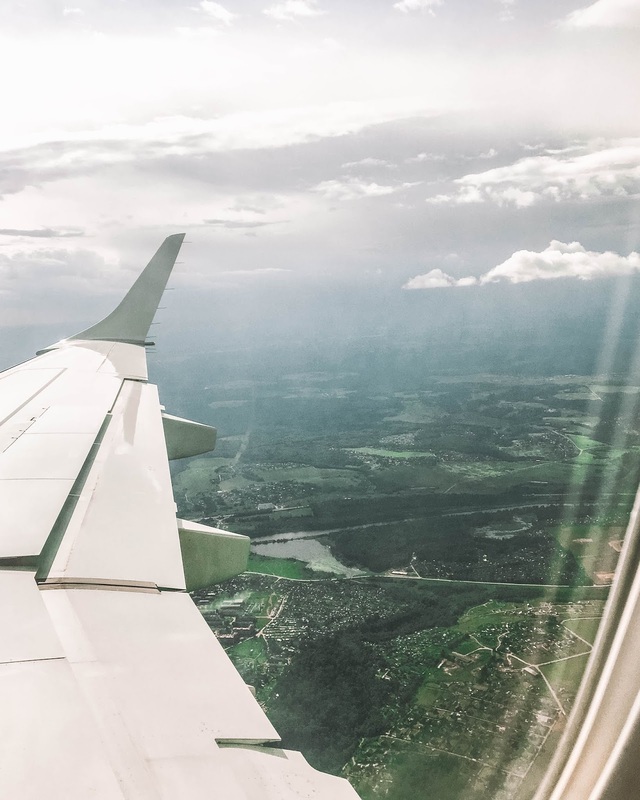 If you're a wanderluster like me, this is a great way to see a new destination. If you're not a big traveler, this is the opportunity to be able to knock off two things off your bucket-list. 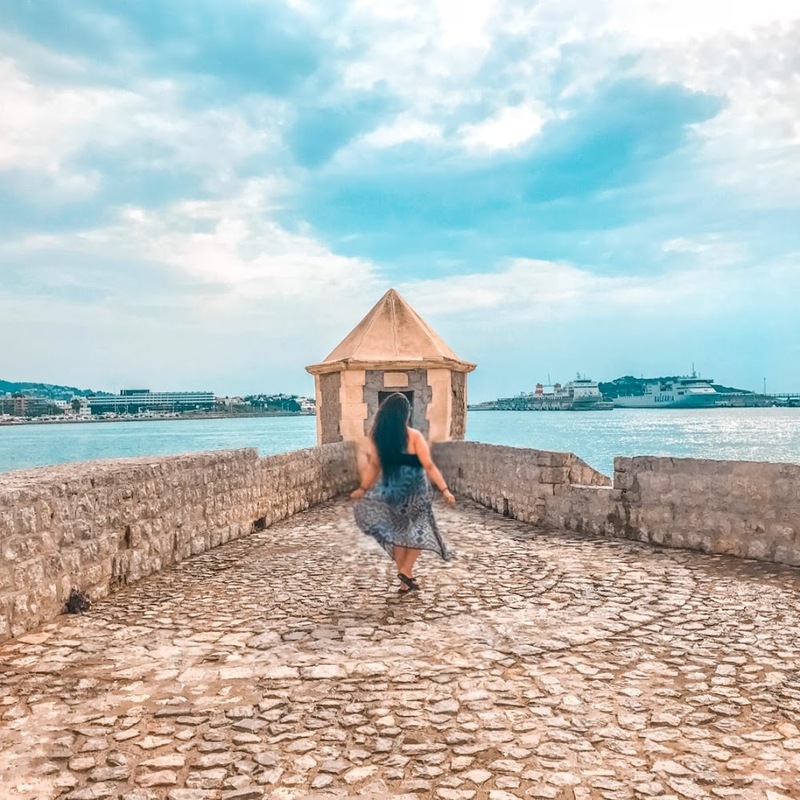 Maybe the destination wasn't on your radar before but now you can explore a new country, learn about a new culture, sightsee, discover new cuisine, and of course meet locals. If the destination has been on your radar and you weren't able to travel to it before, this is just another opportunity to make this trip happen. 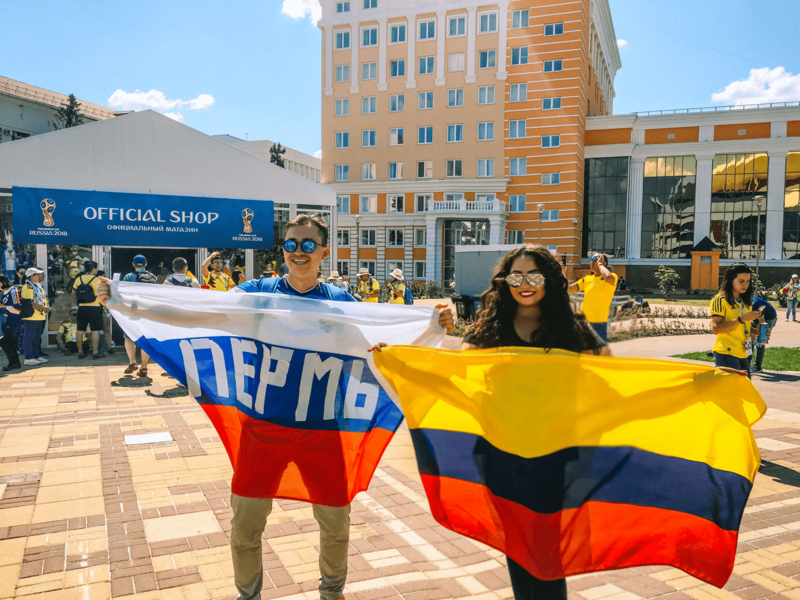 What more of a reason to travel than seeing a World Cup event while you're there? The energy a few days before the the World Cup opening ceremony, during the one month event, and the closing ceremony is out of this world. People from all over the world travel to this one destination for the love of soccer/futbol. This sport is full of passion, love, and admiration. No matter what language you speak, what country you come from, or what you do for a living, the understanding of the game of soccer/futbol is the same in every country. Everyone is representing their country or the country their supporting by wearing their flags, jerseys, costumes in the streets, all the time. People are chanting, singing, dancing, and just having a blast. You'll find many people exchanging jerseys, taking pictures with everyone, it's just a all around good vibe thats hard to explain unless you experienced it yourself. From the locals to tourists, everyone is there for one reason and it's just to have this amazing experience! For so many people around the world, going to a World Cup is just a dream. It's something that many soccer/futbol fanatics say that one day they will attend but may never do. It happens every four years, and it's such a big event that happens for one month where the world stops what their doing to watch these games. So why not make this dream a reality? I was so shocked to see the amount of people who went Russia for these games. Even if they didn't score a ticket to any game, thousands of people traveled to Russia to just be included in this world wide event! People who didn't have much, sold their belongings to just be there. If that's not dedication, I don't know what is. People from all financial situations, ages, and backgrounds were there and there's something to be said for that. Each one of those people who went for the world cup made it happen somehow and through some way, so can you- there's no excuses! You have four years to save, plan, and execute to make this dream a reality. Growing up in a Colombian household, soccer was always prevalent throughout my life. My dad is a soccer obsessed fanatic that reserves every Sunday to watch all sorts of games. Not only does he keep up with Colombian soccer games but he watches games from so many other countries. 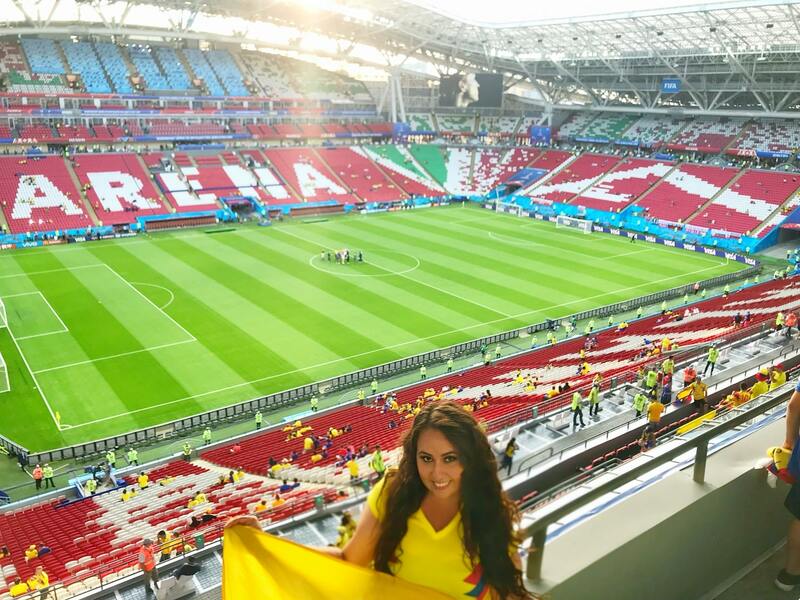 We've been to many games over the years when the Colombian national team comes to New York. But during the World Cup, his big family would have viewing parties and it would always be such be so much fun. 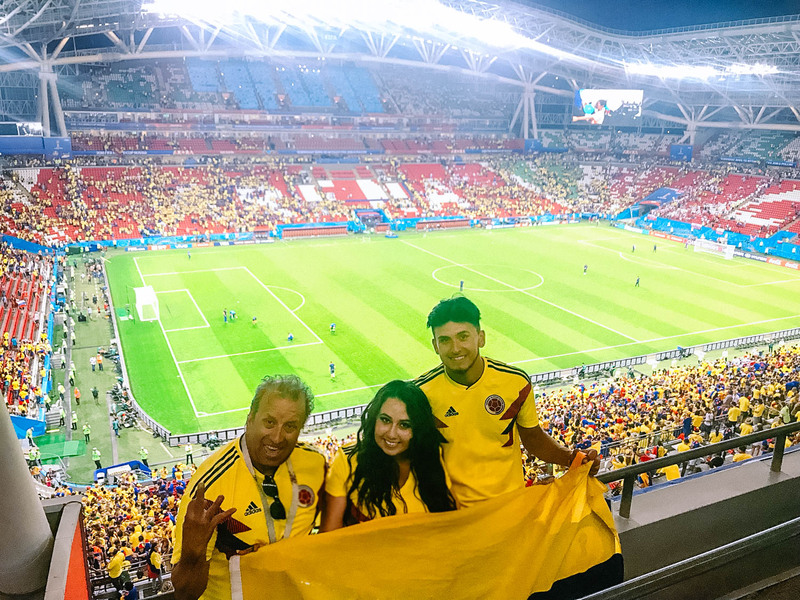 It brought the family together and when the Colombian team wins a game, it was always a celebration. If there's not a viewing party happening we would see soccer games at fun sports bars. As you can tell soccer is just a big thing in my family. Never in a million years did my dad thought he would ever go to a world cup. As I mentioned before, it was always a dream. He's the type to say it could never happen or it's too expensive or just make up an excuse why not to go. 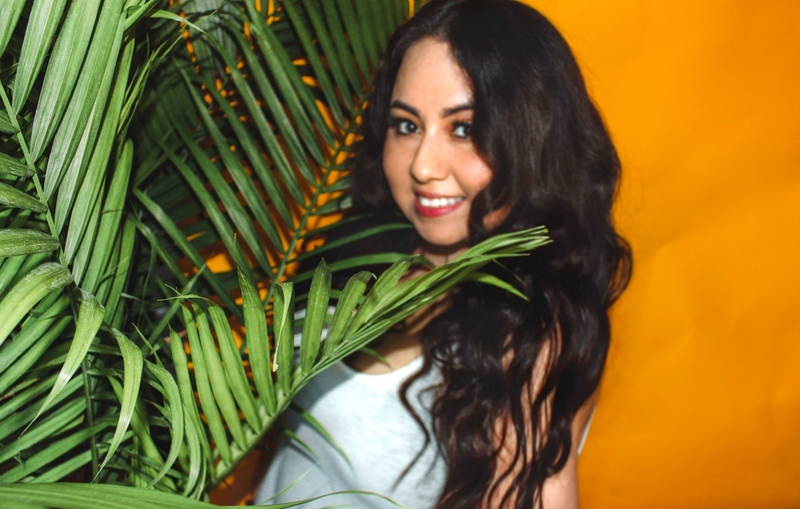 In recent years, traveling for me is something I love and am passionate about (I mean I started a travel blog because of it.) 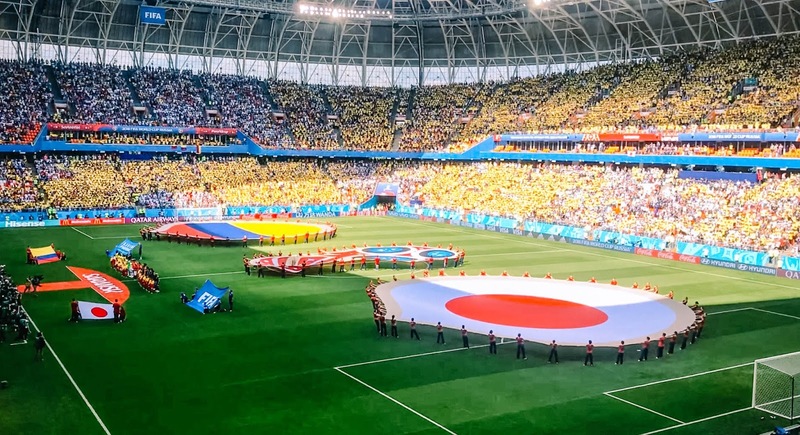 I've heard from a couple of people who have attended World Cup games before that it's just something you have to experience once in your life. I told myself if Colombia qualifies for the 2018 World Cup that somehow I will make it there. I told my dad about the idea of going but he shut it down quickly. This was during the early period of the registration process. So after that conversation it wasn't discussed again until a few months later where he said to me, lets try to get tickets. I want to preface this by saying the registration process and getting tickets was completely different for the Russia 2018 FIFA World Cup. In the past, you could just get tickets online or go through an agency but that led to many people duplicating fake tickets and what not. Thats why there was a different approach this time around for getting tickets. There were intervals to get tickets in certain months where it was either first come first serve or random selection. When we first applied it was a random selection period where we chose what games we wanted to tickets for, you put your card info but you won't know if you got the tickets for sure until weeks later. We got an email saying we got tickets to one game. We were so shocked and surprised that we got tickets to the first game (Colombia vs Japan). While looking at flights and accommodations, my dad really wanted to attend all three games. He's like if were going all the way to Russia, why not try to go to all three games. So we attempted to get tickets during the final round of first come first serve period. It was a mission and a half to get them because we had to wake up early and refresh the computer screen until we got notified we got tickets for a second game (Colombia vs Poland). 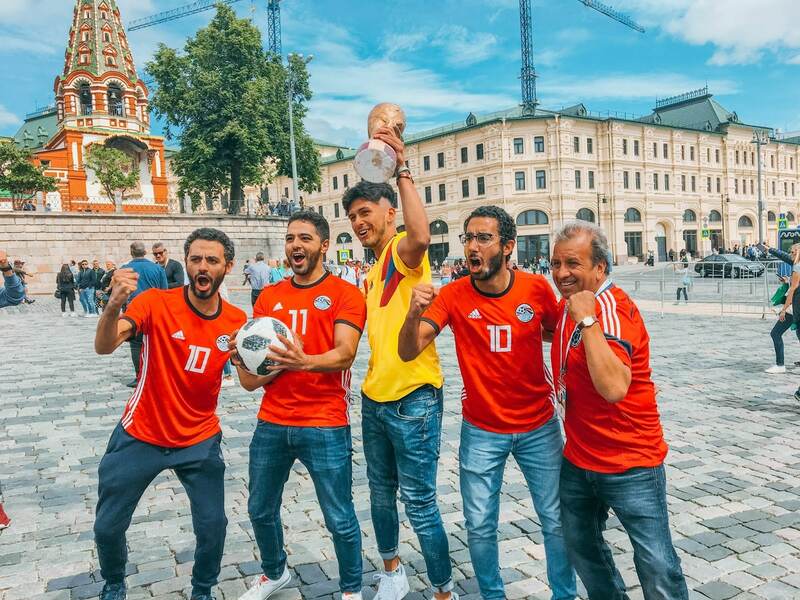 We were so happy, excited, speechless at this point like it actually sunk in that is real and we will be traveling to Russia for the World Cup! Since the game tickets that we scored were in smaller cities (Saransk and Kazan), accommodations was very limited. Of course when events like this happen prices go up in hotels/airbnbs and rooms sell out quickly. Keep that in mind when planning a trip like this. But I would like to mention it's possible to find affordable options you just have to keep an eye out. I was the one planning out all the logistics and highly recommend adding time if possible to extend your trip beyond the game days. We stayed in Russia for about a month. We arrived in St Petersburg before the games started and went sightseeing before the flood of tourists arrived. From there we went to Moscow right before the World Cup madness began and was there for the opening ceremony. There were FiFA fan festivals in each host city where you can watch the games on big screens- eat, drink, and dance to music. Also there were volunteers that spoke english at train stations and airports that helped people with any problems. We used google translate to communicate with locals which was super helpful! We then headed to Saransk for our first game but we had to stay in the nearest city (Penza) because there was hardly any accommodations available in Saransk. To break up our trip from Saransk to Kazan we made a pitstop in Samara for a couple of days. By doing this we saw way more of Russia than just going to the host city for a game. I thought this was a great way to experience the country by visiting different cities and also enjoying the games. My experience was just amazing and unforgettable. From seeing beautiful architecture, museums, and meeting lovely locals that were so helpful during our stay. To see the thousands and thousands of people from all walks of life come together who share the love and passion of soccer was so beautiful. Also seeing the true happiness and joy of my dad being able to scratch off this lifelong dream off his bucket-list was incredible to witness. Seeing him happy makes me happy. He's had a difficult life growing up and he's a nonstop hard worker who hardly ever takes time to do things for himself. This trip meant a lot to him and to us as a family and I'm so glad I was able to see him enjoy this magical moment that I know he will never forget. Being able to see the games live was just mind-blowing! Nothing beats that energy thats in those stadiums. I witnessed so many people get emotional while singing their national anthem or when their team scored a goal. It's just so beautiful to witness and connect with strangers on that level. We met so many people along the way and loved the crazy ambiance thats in the air. It was also really cool to have locals and tourists as well come up to take photos with us. I can't recommend going to a World Cup enough, can't you tell by now? If this post didn't convince you to go to the World Cup, maybe this video will. I put this video together to share my experience but also hopefully portrayed the energy that was there during the FIFA World Cup. Hope you guys enjoy the video, and if you did please subscribe to my YouTube channel and support my channel by leaving a comment and liking the video! I really hope I get to go one day! Sounds like a wonderful experience! How awesome!! Now I definitely want to go too! It would be incredible to experience that energy. And how special that you went with your dad. I’m sure it’ll be something that you both never will forget! It was for sure an unforgettable experience especially sharing it with my dad! Visiting a World Cup definitely seems like a very fun and exctiting thing to do. If I ever get the chance, I will check one out! Thanks, hopefully you will experience it one day! Glad this post convinced you!!! To visit another country for watching World Cup is an amazing idea but a little expensive. Even though, if you can manage to fly there, then it would be remembered for lifetime! We actually did everything (plane tickets, accommodation, food, tickets, and transport) relatively on a budget, so it's possible.